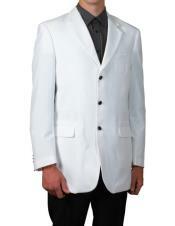 White tuxedo jackets are just variations of white dinner jackets. The only rule for these white jackets, as we all know, and as what every person ought to know, is that it's worn on hot weather areas. 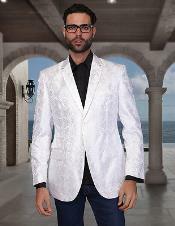 The most popular persona to ever wear a white tuxedo jacket a couple of times in a TV series or even movies is, Sean Connery, famously known as JAMES BOND. 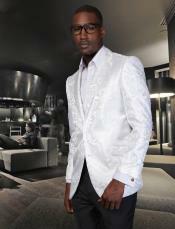 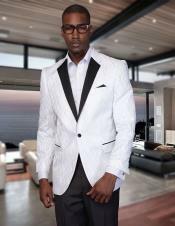 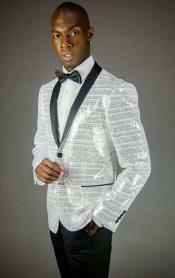 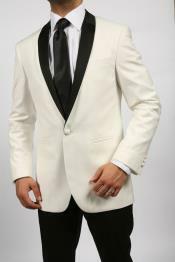 Since it's a white tuxedo jacket, you must be well guided in sporting one, if you haven't had it before. 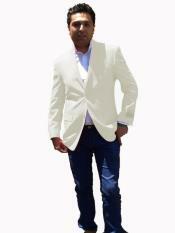 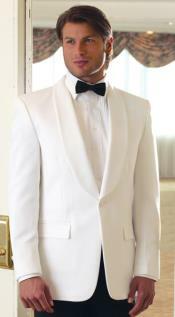 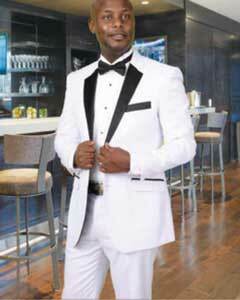 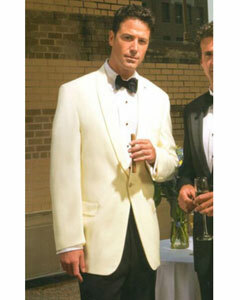 A white tuxedo jacket MUST and ALWAYS be WHITE; not off-white or cream or dingy white, but WHITE. 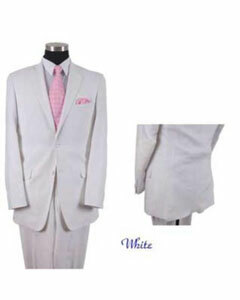 It keeps its elegance, and clean sheik look. 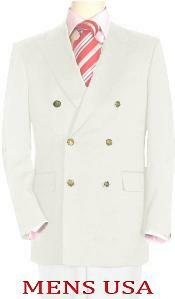 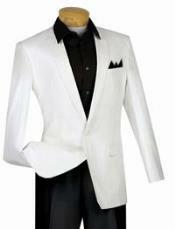 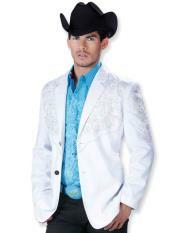 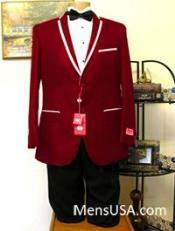 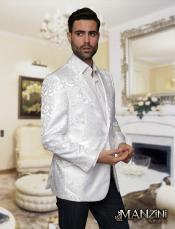 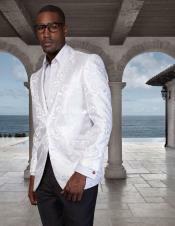 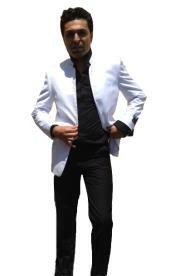 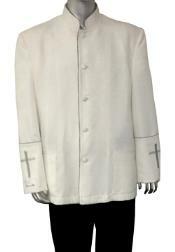 These white tuxedo jackets are found in tuxedo shops and formal wear stores. 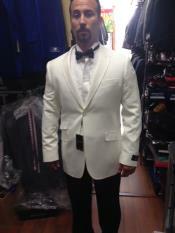 Even local bridal shops have it. 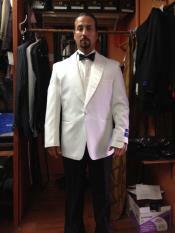 Tuxedos are best worn when it fits you well. 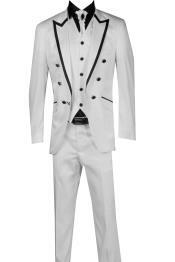 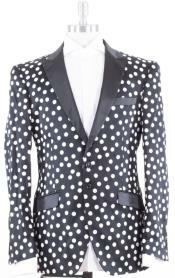 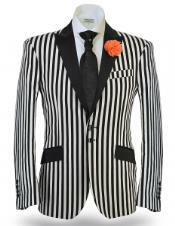 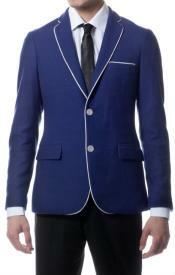 Pants to match the white tuxedo jacket must have the right inseams and waist measurements. 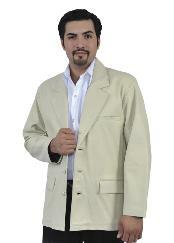 It would already be a big advantage if you know your measurements. 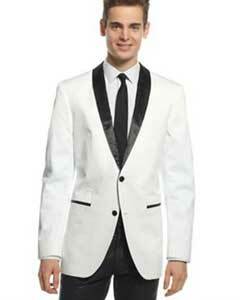 The tuxedo jacket must fit in the shoulders, back and arms. 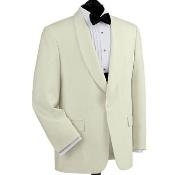 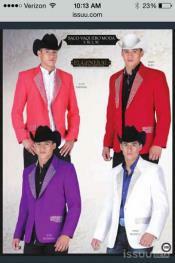 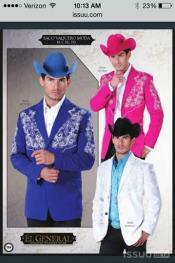 There are different types of tuxedo jackets (white). 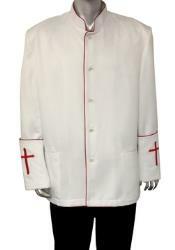 It may come as single-breasted, double breasted and shawl collar. 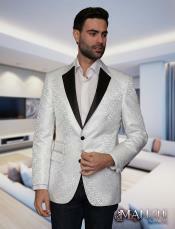 If you're in a casual event, you may want to use a double-breasted white tuxedo jacket. 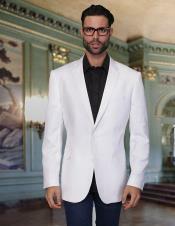 Be sure that it fits you slim, so as to avoid looking like you are in a formal meeting. 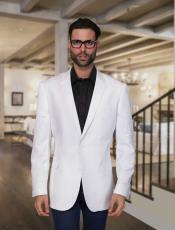 Make sure you're not that bulky, because double breasted tuxedo jackets add bulkiness to the chest. 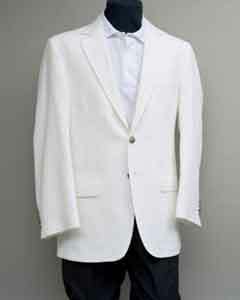 White tuxedo jackets are not like blazers, which you can wear it alone. 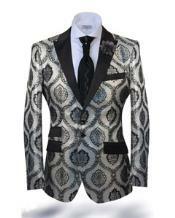 This attire is used as a big part of your over-all style for an event. 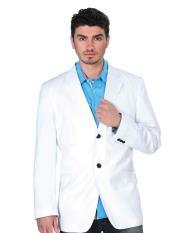 Since it is white, wear pastel colored shirts, not the bold colors. 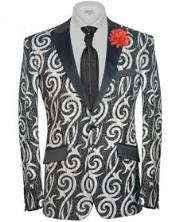 Patterns are a no-no too. 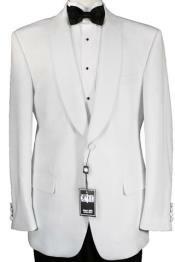 If you want to keep it elegant and cool, just tone down your shirt because the white color tuxedo jacket is already an attention-seeker by itself. 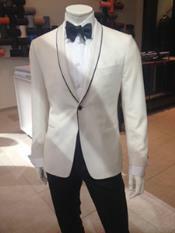 With white tuxedo jackets, you may choose to wear a colorful bow tie, a clip on tie or a classic long tie. 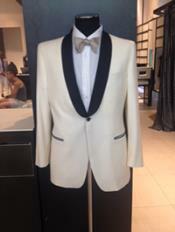 For parties, balls and white-tie parties, try on a butterfly-shaped bow tie. 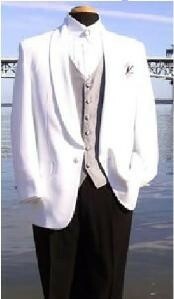 For casual events, wear long ties. 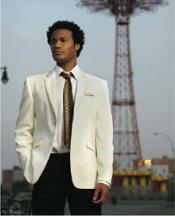 Be very careful about the color of your tie, as it may over shine your whole style for the night. 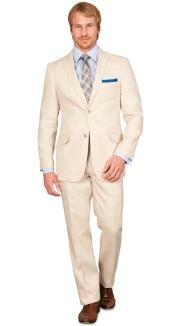 Just keep it in pastel colors. 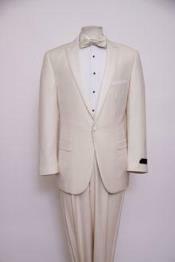 For Balls, you may wear your trousers in white or ivory color. 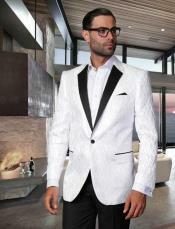 The fabric of the trousers must be the same as that of the tuxedo jacket. 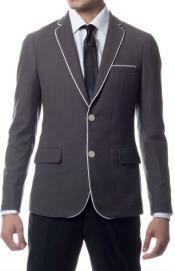 Trousers with back pockets are a less choice for men. 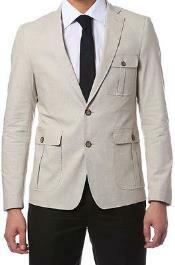 Side pockets are considered. 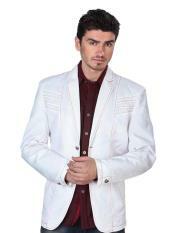 If you want to give the look of a modern twist apt for dinner dates, and cruises, you may wear it with denims. 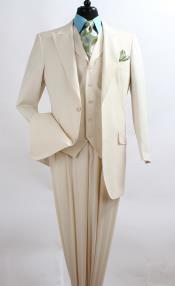 Classic accessories of white tuxedo jackets are pocket watches, cummerbunds, waistcoats and scarves. 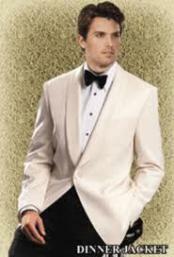 In a bit formal parties, you may use those that have been mentioned, but the scarf is optional. 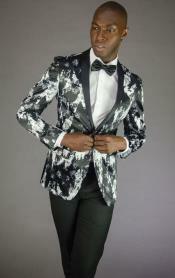 The scarves and cummerbunds give a sartorial look to the entire attire. 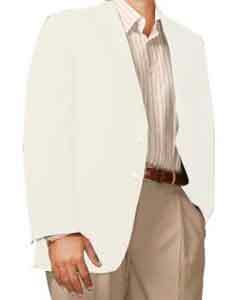 Cufflinks, tie clips and colorful studs on shirt gives the look a boost. 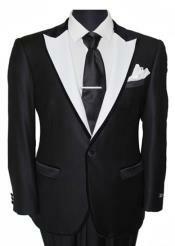 Now that you're done with attire, make sure that the tuxedo jacket gives you margin of safety for movement. 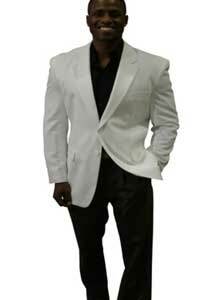 Best fitting tuxedo jackets drape smoothly over the shoulder blades and chest. 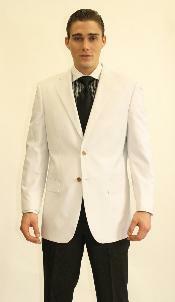 If ever you cannot comfortably cross your arms or raise your hands, then it's not for you. 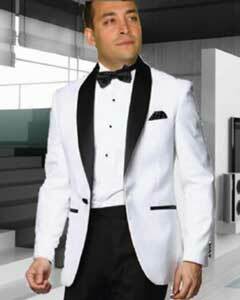 Though the whole style is complete, if you're not comfortable with your tuxedo jacket, you'd still feel off in your event. 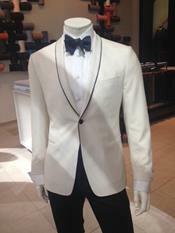 You may have a tailor readjust the tuxedo jacket. 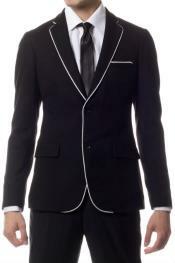 Black slacks and black shoes are worn if you want to look classy. 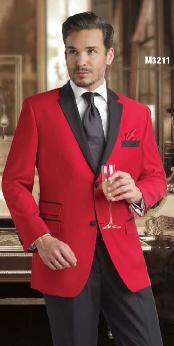 Never pair it with a different colored bow-tie. 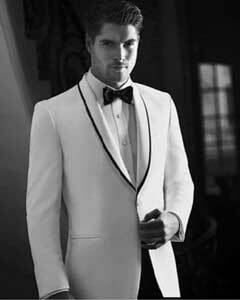 If ever you want to give your usual basic shawl- collar tuxedo jacket, then choose to wear a peak and notched tuxedo jacket. 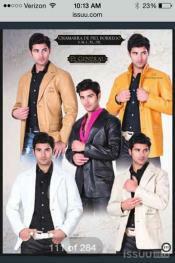 It will give your style a modern and versatile feel. 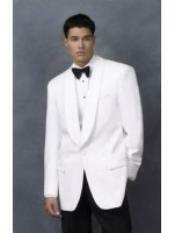 You may also wear a cummerbund, but make sure that the pleats are facing downwards.